Performing a sadhana practice is extremely beneficial and helps us overcome mental, physical, and spiritual obstacles. Through a sadhana we are replacing the old patterns and thoughts that we have with new ones. The practitioner is encouraged to see all beings and environments, to hear all sounds, and to experience all thoughts as divine and pure. It is through these practices that we work to attain spiritual realization. Our sadhana practices involves chanting the tantric liturgy, meditation, and chanting of mantras. 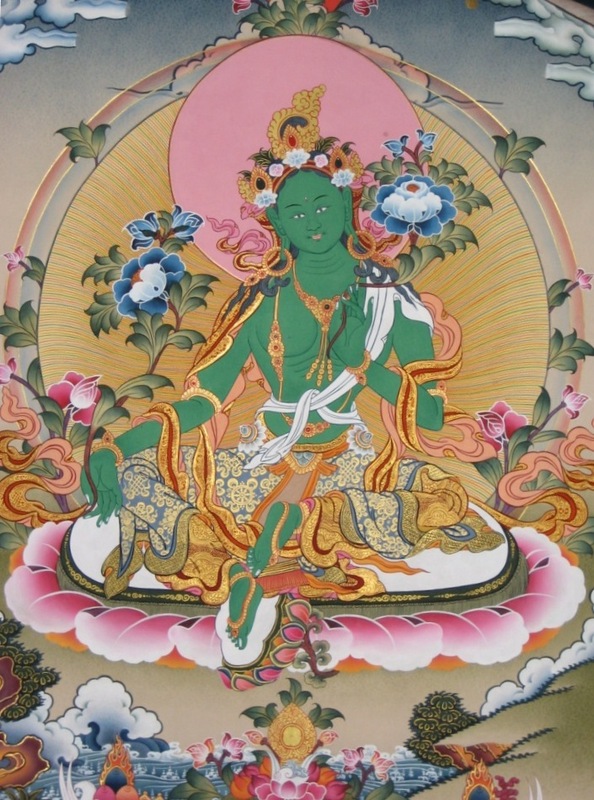 Every Tuesday evening from 7:00 – 7:30 p.m. we offer Green Tara practice in our beautiful upstairs shrine room. This a wonderful practice to do that helps eliminates fears and obstacles (i.e. fears within your mind) from one’s life. 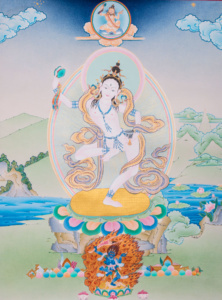 Tara is a completely enlightened Buddha who made a promise in the distant past that after reaching complete enlightenment she would always appear in the form of a female for the benefit of all beings. She especially protects all sentient beings from the eight great fears. 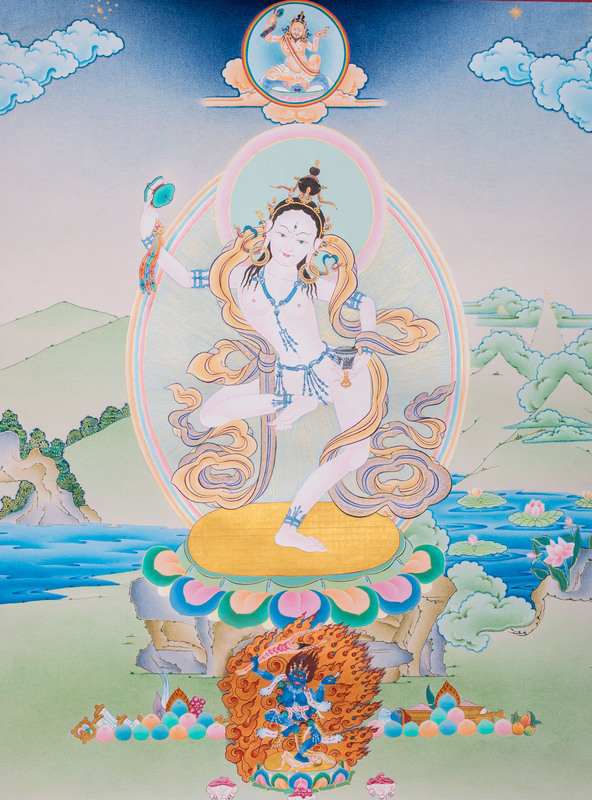 If you would like to know more about Tara please visit FPMT’s article on Tara the Liberator. Every Thursday evening from 7:00 – 7:30 p.m. we offer Medicine Buddha practice in our beautiful upstairs shrine room. This a wonderful practice to do that helps free all sentient beings from their illnesses. 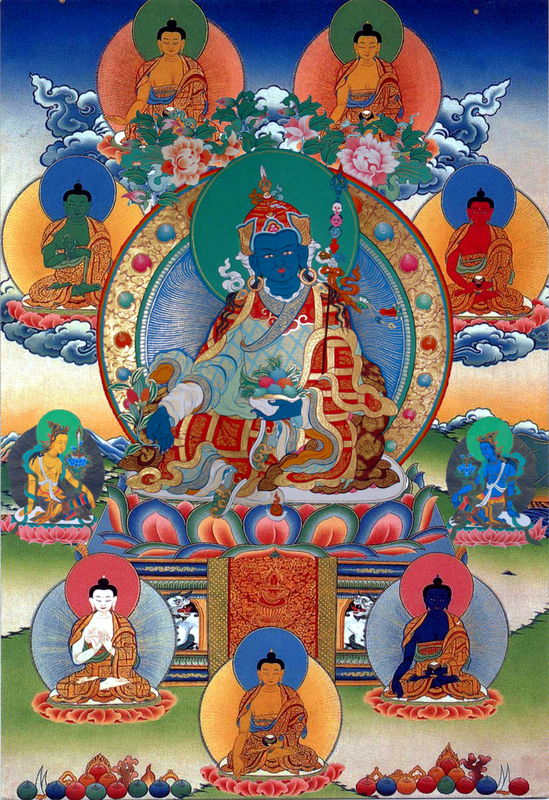 Medicine Buddha’s primary motivation is to completely remove physical and mental suffering from all sentient beings in general, but primarily mental and physical illness caused through the imbalance of the elements. This particular practice is a form of Guru Rinpoche manifesting as a Buddha of Medicine. Every Sunday morning from 9 – 9:30 am we offer Black Hayagriva practice in our beautiful main shrine room. Black Hayagriva is the wrathful activity deity of the Lotus (Padma) Family of Buddha Amitabha. It is a very powerful yidam practice for incinerating all ones inner physical illness, demons, misdeeds, and obscurations . It is said that the Black Hayagriva sadhana is a means of accomplishment for conditions of our time and situation. We will be using the Sadhana of the Nirmanakaya Heruka from Tsasum Lingpa‘s terma Great Compassionate One, Subjugating Samsara and Nirvana. 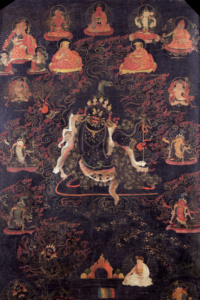 Participants must have received the empowerment of Black Hayagriva. The fourth Sunday of the month from 1 – 2 pm we offer Chöd practice in our beautiful main shrine room. Chöd is a practice, based on the prajnaparamita, involving a visualization in which the physical body is offered as food to various guests, including evil forces or dangerous spirits, the purpose of which is to destroy or ‘cut’ the four maras and especially one’s own ego-clinging. We will be using Tulku Yeshi Rinpoche’s medium length Chod sadhana. 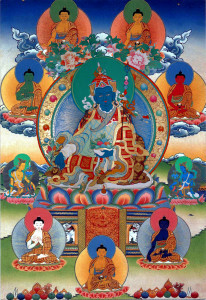 Participants must have received empowerment of Machig Labdron or Tröma Nagmo.